Established in 1941, the primary goal of the Defense Base Act was to cover workers on military bases outside the United States. The act was amended to include public works contracts with the government for the building of non-military projects such as dams, schools, harbors, and roads abroad. A further amendment added a vast array of enterprises revolving around the national security of the United States and its allies. Today, almost any contract with an agency of the U.S. government, for work outside the U.S., whether military in nature or not, will likely require Defense Base Act coverage. 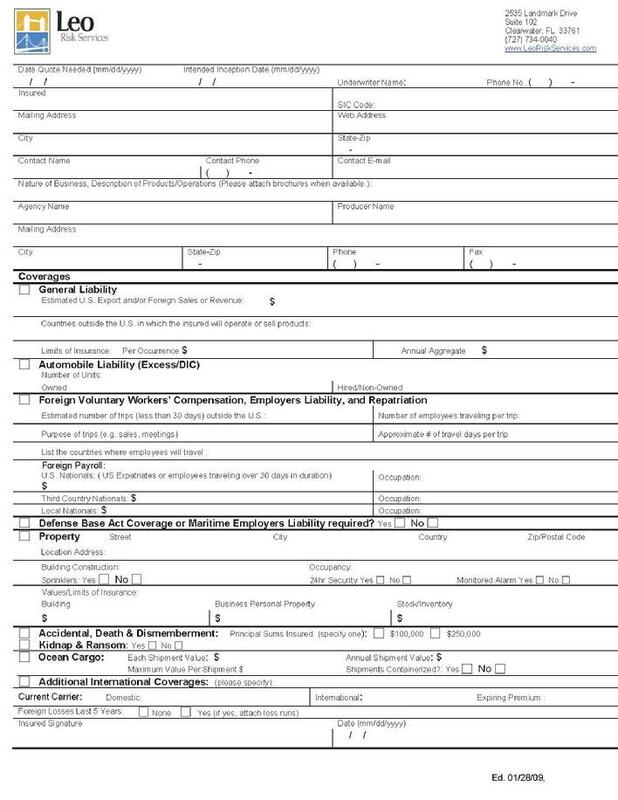 Any employee engaged in a public works or military contract with a foreign government which has been deemed necessary to U.S. National Security. Any employees of any sub-contractors of the prime or letting contractor involved in a contract like numbers 1-4 above. What are the consequences of not carrying DBA Coverage? Failure to obtain DBA insurance carries stiff penalties. All government contracts contain a provision that requires bidding contractors to obtain necessary insurance. Failure to do so will result in fines and possible loss of contract. 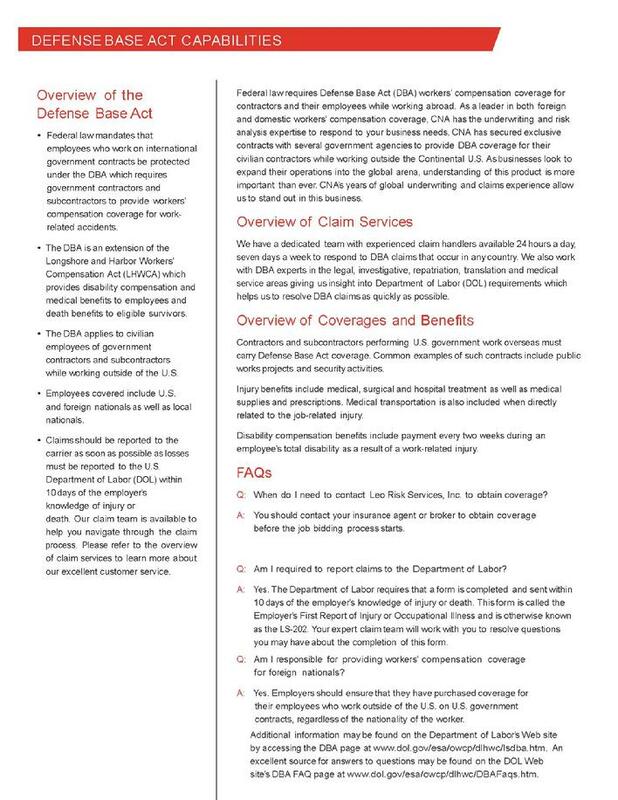 The additional and most severe penalty is that employers without DBA coverage are subject to suits under common law, wherein common law defenses are waived. In other words, the claimants or their heirs need only file suit and do not have to prove negligence. Lastly, all claims may be brought in Federal Court and are against the insured directly.